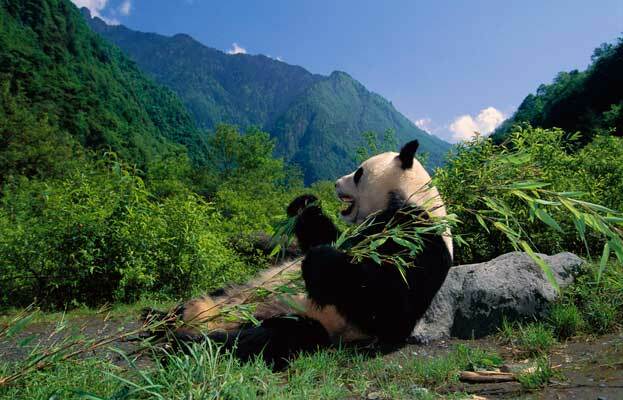 Sichuan Giant Panda Sanctuaries - Wolong, Mt Siguniang and Jiajin Mountains is principally renowned for its importance for the conservation of the giant panda, recognized as a "National Treasure" in China and as a flagship for global conservation efforts. 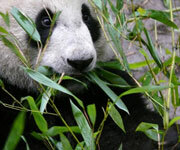 The property is the largest and most significant remaining contiguous area of panda habitat in China and thus the world. 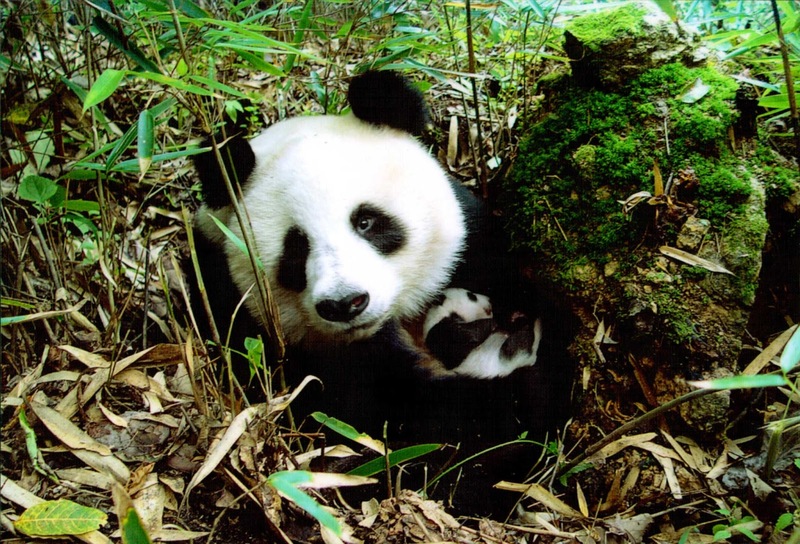 It is also the most important source of giant panda for establishing the captive breeding population of the species. In addition to the giant panda, the property features a great number of endemic and threatened species of plants and animals, including other iconic mammal species such as the red panda, snow leopard and clouded leopard among the 109 species of mammals recorded (more than 20% of all Chinese mammals). The property is an important centre of endemism for some bird taxa with 365 bird species recorded, 300 of which breed locally. However the property is particularly important for flora, being one of the botanically richest sites of any temperate region in the world with some 5,000 – 6,000 species recorded. Many species are relicts, such as the dove tree, and there is significant diversity in groups such as magnolias, bamboos, rhododendrons, and orchids. The property is a major source and gene pool for hundreds of traditional medicinal plants, many now under threat. Located in China's southeast province of Sichuan in the Qionglai and Jiajin Mountains between the Chengdu Plateau and the Qinghai-Tibetan Plateau, the property includes seven nature reserves and eleven scenic parks in four prefectures or cities. It covers a total area of 924,500 ha surrounded by a buffer zone of 527,100 ha. The Sichuan Giant Panda Sanctuary includes more than 30% of the world's population of giant Panda and constitutes the largest and most significant remaining contiguous area of panda habitat in the world. It is the most important source of giant panda for establishing the captive breeding population of the species. The property is also one of the botanically richest sites of any temperate region in the world or indeed anywhere outside of the tropical rain forests. Underlining the outstanding value is that it protects a wide variety of topography, geology, and plant and animal species. The property has exceptional value for biodiversity conservation and can demonstrate how ecosystem management systems can work across the borders of national and provincial protected areas.